Every 4th of July, millions of people across the U.S. gather to watch gunpowder and science transform into beauty. Something about those explosions of color stretched across the sky awakens a sense of wonder in us, young and old alike. After the show, we stand dazed for a few minutes, the afterimages still lingering in our peripheral vision, before we pack up and head home. As marketers, we want our content to dazzle and to leave an impression that lasts long after our audience reads it. 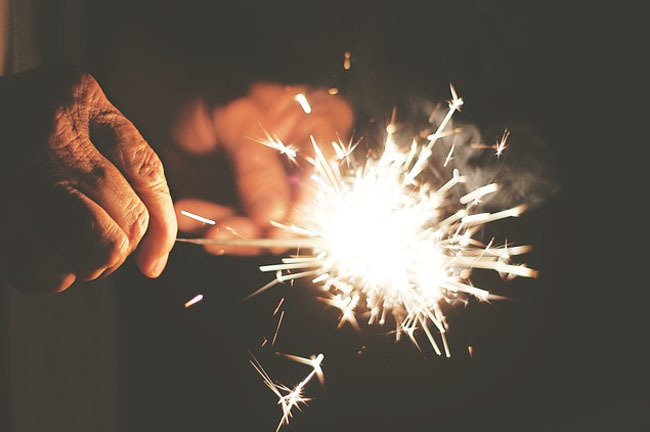 We shouldn’t settle for a quick flash and fade; we should aim to inspire a reaction from our audience (even if we can’t match the childlike wonder of a fireworks display). This week’s roundup of trending marketing content has plenty of advice to help you create awe-inspiring content while also making sure it reaches a crowd who is sure to appreciate it. The One Ingredient Your Contact Marketing Program Is Missing More brands are launching content marketing initiatives, and many of their efforts burn out before they attract an audience. In this article, Content Marketing Institute Founder Joe Pulizzi shows how patience can be the deciding factor in a content marketing program’s success or failure. Visual Content Marketing: Building Digital Stories That Really Connect In this post for the Marketing Land blog, BrightEdge Founder & CEO Jim Yu provides a practical guide for creating visual content. Check it out for detailed instructions on creating and amplifying exemplary visual assets. These Mistakes Can Make Your Content Marketing an Epic Failure (but You Can Avoid Them) Avoid three common missteps that sabotage the effectiveness of your content marketing with this MarketingProfs article. Mind Fuel President and CMO Jeff Sierra details tactics for identifying your audience, keeping your messaging consistent, and publishing where your audience is most likely to see your content. 5 Subtle but Effective Digital Marketing Strategies In this post for Entrepreneur, Mabbly CEO Hank Ostholthoff advocates for a subtle, less-is-more marketing strategy to engage and entertain audiences. Read the full article to see how the perfect piece of small content can have a big impact. LinkedIn Cannes Lions: Where Creativity Meets Effectiveness This year’s Cannes Lions festival featured a host of creative leaders talking about how technology and data enable their creative endeavors. This content hub from LinkedIn Marketing Solutions collects insights from marketing minds across countries and industries. 9 Mobile Marketing Trends Dominating 2015 We all survived “mobilegeddon,” but that doesn’t mean it’s safe to stop thinking about mobile marketing opportunities. Appschopper Developer Ashni Sharma spotlights the emerging trends in mobile marketing before revealing how marketers can hop aboard the mobile movement in this post for Jeffbullas.com. Have LinkedIn and Medium Killed the Old-Fashioned Blog? LinkedIn Publisher has made it easier than ever to share your thoughts with a global audience. Does that mean the era of the personal blog is over? In her article for the Harvard Business Review, Tech Writer Alexandra Samuel demonstrates how a smart blogging strategy includes both LinkedIn and site-specific blogs. How to Use LinkedIn Publisher Statistics to Refine Your Marketing One advantage of LinkedIn Publisher over a traditional blog is easy access to statistics for each of your published posts. LinkedIn Expert Viveka Von Rosen shows how to access and interpret these stats to improve your marketing efforts in this post for Social Media Examiner. 7 Key SEO Activities That Can Now Be Automated Feed your inner (or outer) tech nerd with this deep dive into SEO automation from Search Engine Land. International SEO Consultant Aleyda Solis brings out the charts, graphs, and screenshots for this incredibly informative guide. Content Marketing That Converts Newscred Head of Strategy Michael Brenner brings every bit of his considerable marketing experience to bear in this SlideShare. Check it out for a guide to building a content strategy across the buyer journey, complete with real-world examples to inspire your own efforts. For a daily dose of dazzling marketing tips and tactics, subscribe to the LinkedIn Marketing Solutions Blog.